If you have problems viewing this newsletter, click here. This season, we extend our thanks to those who help us pursue our mission: to connect people to their environment through river education adventures. 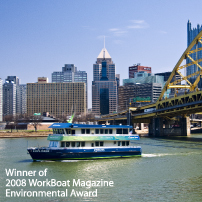 Whether you support unique educational opportunities for tomorrow's leaders, are an advocate for environmental stewardship, or a lover of all things related to the rivers of Pittsburgh, your support of RiverQuest education programs will satisfy all three. Make a secure donation online through DonateNow, powered by groundspring.org. Just click on the link to the left and you'll be redirected to our donation page where you can make a tax-deductible contribution of any size. RiverQuest is eligible to receive contributions from approved businesses under the Pennsylvania Educational Improvement Tax Credit (EITC) program. Businesses can receive a tax credit of up to 90% of their contribution. Support RiverQuest with a tax-deductible contribution and receive a Plank Certificate and recognition on our onboard donor signage. Designate your United Way contribution to RiverQuest by using code #885180. 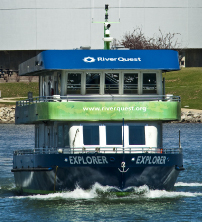 Proceeds from these special tours benefit RiverQuest School Programs. Direct your contribution to help offset fees and program costs for specific schools or districts. Sponsor education programs that explore environmental science, ecology, sustainability and green science, regional history and more. Programs serve Pre-K through adult. Extensive opportunities for named gifts: Classrooms, interpretive signage, and much more. Support RiverQuest public programs and holiday themed events throughout the year. Gifts of securities, tribute gifts, planned gifts or bequest gifts, in-kind gifts and grants from private and corporate foundations are all accepted. >For more information, click here or contact Shayna Pitt at 412-231-2712 x 22. It's United Way pledge time! RQ's United Way # is 885180. 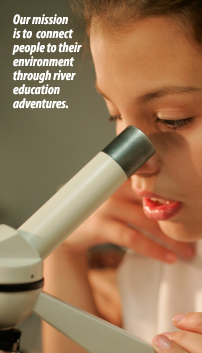 Your pledge helps RiverQuest serve thousands of school students each year with inspirational hands-on environmental science programs out on our beautiful rivers. Thanks in advance for your support! The calendar is filling up, but great dates for school programs are available in late March, April and early June. Give us a call to hear about new opportunities and special offers on school programs! DON'T MISS THIS: Amazing Private Charter Deals for 2010! and paid in full by Tuesday, December 15 qualify for awesome discounts. Host a 2-hour cruise at about half the regular price! Discounts for non-profits and at-dock rentals too! Last time we asked: What are the origins of Pittsburgh's river names? The Answer: Named for a tribe, for natural beauty and for mud. Get the whole story by clicking here. 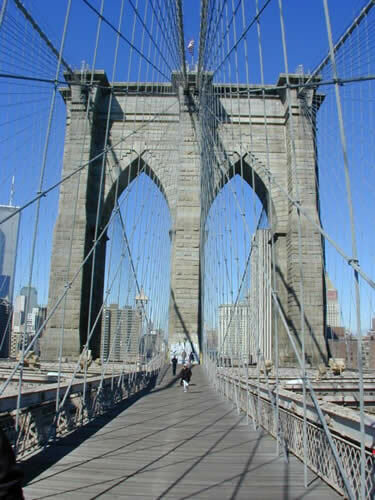 This month's Question: Brooklyn Bridge. Ferris Wheels. We promise to use your e-mail address to send you RiverQuest WAVES and related special announcements about once a month. We will never rent, sell or trade your address without your permission.